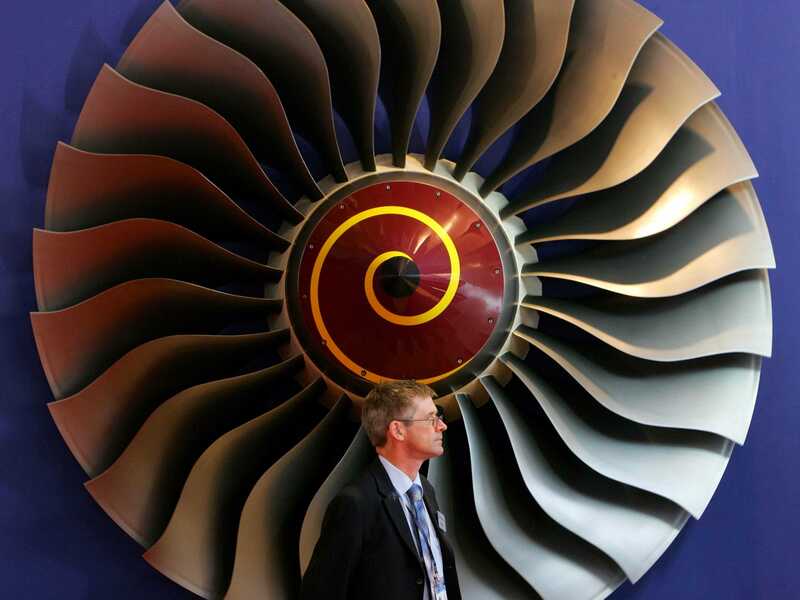 REUTERS/Bobby YipAn exhibitor stands in front of a booth displaying Rolls-Royce aircraft engines. Republicans swept the US Senate in the midterm elections Tuesday night. US crude oil crashed to a three-year low on Tuesday. 3. Catalonia plans to go ahead with an independence vote this weekend in defiance of the Spanish government. The investigation into the Virgin Galactic space plane crash centres on the pilot’s decision to prematurely unlock the craft’s moveable tail section, which set off “a chain of events that led to destruction of the ship and his death,” Reuters reports. 5. China’s reliance on coal results in 670,000 smog-related deaths each year, according to a new research study covered by The South China Morning Post. 6. 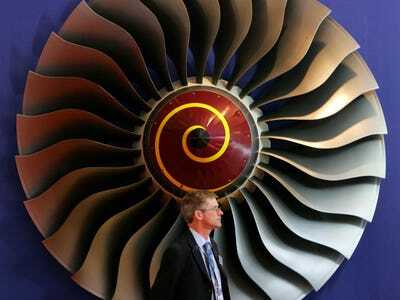 Engine giant Rolls-Royce plans to axe 2,600 jobs over the next 18 months, mainly in the aerospace division. 7. North Korean leader Kim Jong-un has been spotted strolling around without the aid of a walking stick. 8. European immigrants to the UK paid £20 billion more in taxes than they received, a new study suggests. 9. Tinder’s CEO Sean Rad is stepping down into the President role. Beijing is the favourite to host the 2022 Olympics, despite major concerns about holding the winter games there. Get all the nitty-gritty details about London’s £4.2 billion super sewer.